ANGLO American listed subsidiary Kumba Iron Ore set down plans for a more outward looking “step-out” strategy partly aimed at replacing diminishing reserves at its Sishen mine and partly to take advantage of a structural change in demand for premium grade iron ore that the company produces. The company also raised the prospect of acquisitions in order to either replace or expand production. “This is very much opportunistic,” said Themba Mkhwanazi, CEO of Kumba Iron Ore at a presentation today. “We obviously would consider those aspects as and when they came. I can’t go into specifics as to what that would look like,” he said. Kumba turned in a strong performance in its 2017 financial year ended December 31 in which a combination of stronger pricing for its iron ore, up 11% year-on-year at $71/t, and higher volumes and sales – 8% and 6% higher – pushed all the financial metrics north. Earnings before interest, tax, depreciation and amortization was R19.6bn, a 6% increase; attributable cash flow was R12.3bn – a 10% improvement, and share earnings was R30.47bn, an increase of 12%. A final cash dividend of R15/share was duly announced which, coupled with the interim dividend, resulted in a total dividend of R30,97/share or some R13.1bn to shareholders and keeping R13.9bn on the balance sheet in cash and excluding facilities. Mkhwanazi called it “a royal flush” set of results but it’s clear the consequences of the firm’s stay-in-business strategy of two years has yet to be dealt with comprehensively. At the time, Kumba announced a severe cut-back of the pit shell at Sishen which, at some 31.1 million tonnes (Mt) of production in the 2017 financial year, accounts for most of its total production of 45Mt. The result is that Sishen has a life of mine of some 13 years from 17 years previously, equal to about 500Mt in the reserve category. Kolomela has 172Mt in the reserve category. Whilst fighting shy of questions regarding expansion by acquisition, Mkhwanazi said the priority was to convert resources into reserves as well as discover fresh resources through a regional exploration programme. “We are currently stting on reserves of 700Mt [combined] with cut off grade 59% Fe [iron]. And we also have 1.2 billion tonnes of resources with 47% Fe cut off,” he said. “First and foremost is to make most of our existing resource endowment. We have identified the areas where we want to extend which will be reflected in updated guidance,” he said. “Yes we will consider broader beneficiation and exploration, but only where there is a clear value case,” he added. Kumba has guided to production of 30Mt to 31Mt at Sishen and 14Mt from Kolomela in the current (2018) financial year. In addition to Kumba’s need to replace depleting iron ore reserves, it is hoping to progress improvements in its marketing thrust which requires the company to function with more operating flexibility. There’s also a shift in the way Chinese end-users consume iron ore, according to Mkhwanazi who said increased demand for lumpy iron ore – which has attracted a premium of up to $26/t over lower grades last year – was a structural one. The notion is that Chinese steelmakers are adopting larger furnaces where the emphasis is on productivity over cost-cutting. This was to make for a more efficient steelmaking business, whilst efforts had also been taken to shutting mills – by up to 50% in some cases – in an attempt to alleviate heavy pollution, especially during the winter months. “For the first time in a while, Chinese skies have been blue instead of dirty,” said Mkhwanazi. The outcome of this shift is that larger furnaces require a different mix involving the higher quality iron ore that Kumba produces. Whilst Kumba has often realised the premium on its product, the feeling in the company is that the Chinese market has introduced an important, long-term step change. Currently, Kumba product has attracted a $17/t premium which could sustainably settle at between $13 to $14/t although the group’s marketing head, Timo Smit, said the market remained “highly volatile”. 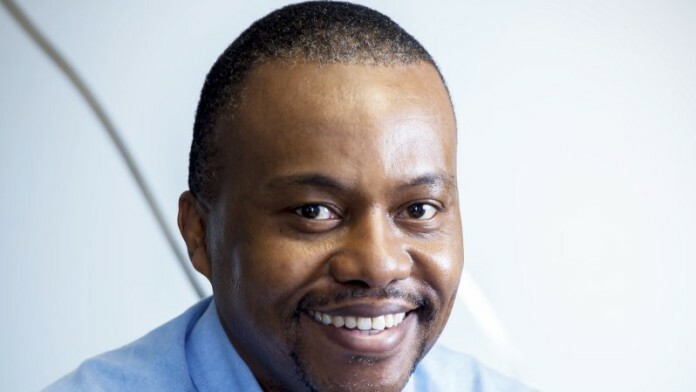 Mkhwanazi said Kumba would also seek to introduce internal productivity improvements such as consolidating its 1,500 suppliers whilst retaining a commitment to developing the local business in the Northern Cape province where its mines operate. Ultra-high density medium separation (UHDMS) technology at Sishen would also add a further one to two million tonnes of iron ore production. I wish to truly provide an entrée to Anglo analysis by highlighting some critical elements of this subsidiary., KIO. I wish to focus on the period FY13-FY17, which is the tenure of its parent Anglo management. with major interventions being Sishen pit redesign and maximising Lump : Fine ratio for optimal price realisation. The pit reconfigurations where premised on smaller push-backs , instead of more productive major push backs. Whilst smaller push-backs are intuitive, they tend to reduce mining flexibility, which pushes up costs at the most inopportune times. They are a bandage NOT a cure to lowering costs. Sishen still has some tonnage , and invested capital, to improve costs. The current FeOre price provides an umbrella to do a major push back or pit redesign for improved optionality of the orebody. The bandage solution of Tony & Mark has now further enfeebled KIO. This, whilst its competing product of Vale is at FOB Break-even cash costs = $10/t ex-brazil. Given that the freight costs of Vale are ±$5/t more than KIO, i estimate apples-to-apples at Vale Breakeven FOB ( ex-Saldanah) = $15/t. This renders KIO a 4th quartile producer, thus necessitating a rethink of its strategy if it where to compete. KIO should pursue an integrated strategy by marrying itself to a Japanese steel maker, given its quality product, to secure its destiny. The key to this is its Zandrivierspoort Project. Paying dividends to please Anglo, will NOT ensure its long term success. It needs to reinvest to lower its costs. Sishen strip ratios have deteriorated at 4:1 compared to Vale which operates truckless Opencast mines.Whilst the sun is still shinning, its best to retool for the stormy seas ahead. As for ZRP project, all technical skills that was at KIO during Yskor days is gone, with due respect none of the team really have a clue what to do with this magnificent property. Also mind you, it’s a 50:50 jv with that poor cousin Amsa.